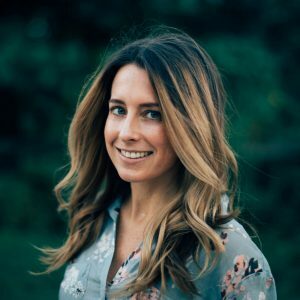 Brittany and her small team of essay experts serve clients locally throughout New York, New Jersey, and Connecticut, and seamlessly across the country and around the globe via email, phone, and video chat (FaceTime, Skype, and WeChat). Ensuring students are satisfied with their college options is our top priority. A huge part of making this happen comes down to setting realistic expectations and attainable goals. Once realistic expectations are established and viable goals set, we provide applicants with the guidance, resources, and general support they need to navigate the admissions process successfully. In doing so, we aim to help students create the time and space necessary to work smarter, not harder. We believe in empowering students, and that transparency matters. We hope our expertise can demystify the college admissions process so that students can tackle their applications and make final decisions with confidence. We also believe that the process of drafting and revising application essays is the first step toward becoming a college-level writer. With that in mind, we view our role in the essay process as closer to that of a tutor than an editor; all edits and comments are not simply corrective, but also instructive. Through reviewing and actively engaging with our feedback, each student can improve as a writer and as a thinker throughout the essay-writing process—arriving at college more than ready to tackle the heavy writing load. We work with students applying to a wide range of institutions, from the Ivy League to the Patriot League, art schools, conservatories, and everything in between. Despite the broad diversity in our client base, all of the students we work with have one thing in common: they are motivated applicants who are eager to work with us, and who see us as a trusted partner and collaborator in their application process. We can’t stress enough how important it is that students want to work with us! Not all students welcome support from an additional counselor, and we respect that. Experience has taught us that it is impossible to have a productive application process when working with students who do not have a genuine desire to work with us. Accordingly, we understand that our coaching style isn’t for everyone. We find the most productive and successful counseling relationships are student-driven, rather than parent-driven. We recognize that for many students applying to college can be a team effort between students and parents, but we expect that the student will be in the driver’s seat throughout the process. Until 2012, Brittany spent her professional career working in higher education, and held positions in admissions and student services at the University of Pennsylvania at Penn Law and The Wharton School; Princeton University (undergraduate) and the Woodrow Wilson School of Public and International Affairs; and the Johns Hopkins University-Paul H. Nitze School of Advanced International Studies (SAIS). She has also served on admissions committees with American Councils for International Education and International Research and Exchanges Board; as an invited speaker to numerous community programs; and as an alumni interviewer and admissions representative for the Graduate School of Education at the University of Pennsylvania. Brittany is an active Executive Board member and Membership Director of the Penn GSE Education Alumni Association and an Associate member of the Independent Educational Consultants Association. Brittany received her doctorate in higher education from the George Washington University in 2012. Prior, she attended the University of Pennsylvania for her master’s, and the University of Vermont for her bachelor’s degree—a degree she obtained in three years. Our essay experts have MFA’s from prestigious writing programs and years of experience not only working on application essays but also teaching writing. If you would like to review their full bios, please email us. We also encourage you to take some time to learn more about college admissions counseling and Independent Educational Consultants (IEC’s). Brittany Maschal Consulting does not discriminate on the basis of race, religion, gender, citizenship, ethnic or national origin, age, disability, sexual orientation, gender identity or expression, in providing its services.